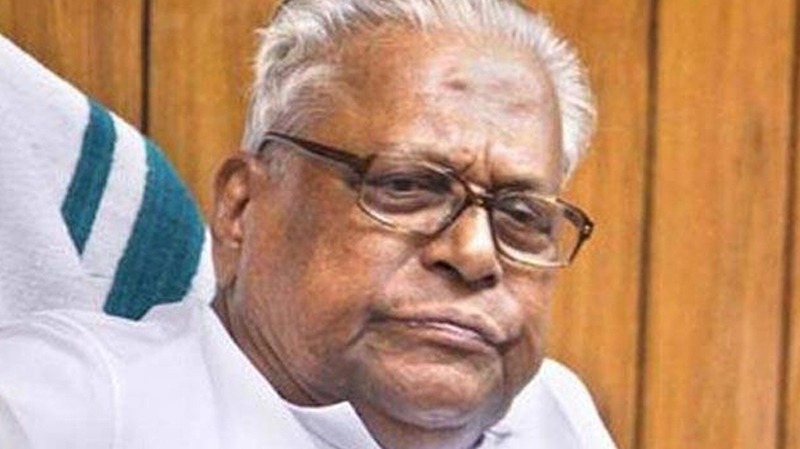 Former Chief Minister V S Achuthanandan on Wednesday said action initiated by IAS officer Dr. Sreeram Venkitaraman against those who encroached government land in Munnar was exemplary. Presenting the Ummassery Madhavan Award to Dr Venkitaraman, Achuthanandan hailed his sincerity in serving the common man and urged him to continue his work fearlessly. “A person whose work is transparent and who guiding light is the commitment towards people need not fear for anything,” he said. The veteran Left leader also spoke about not being able to complete the eviction drive during his tenure. “We could not complete the eviction drive due to various reasons. Dr. Venkitaraman was able to intervene boldly in the issue,” he added. In his address, Dr Venkitaraman said that he was overwhelmed to receive the award from Achuthanandan. “Apart from the happiness of receiving the award, I am excited that my long cherished desire to meet VS has been fulfilled today,” he said. Dr. Venkitaraman donated Rs. 25,000 cash award to the panchayat for the welfare of tribals.